Professor Barger has taught at Atlanta’s John Marshall Law School since 2015. 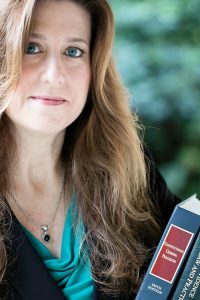 She previously taught at Appalachian School of Law, George Mason University School of Law, and Georgetown University Law Center. Prior to teaching, Professor Barger practiced in Washington, D.C. at Piliero, Mazza & Pargament representing clients in the areas of Native American law, litigation, government contracting and labor/employment law; and as an Assistant Public Defender in Fairfax County, Virginia.